What is Askiy Ochi Acimowin - Story of the Land? Askiy Ochi Acimowin – Story of the Land is a collaborative research program that utilizes paleolimnology to reconstruct past environmental conditions. 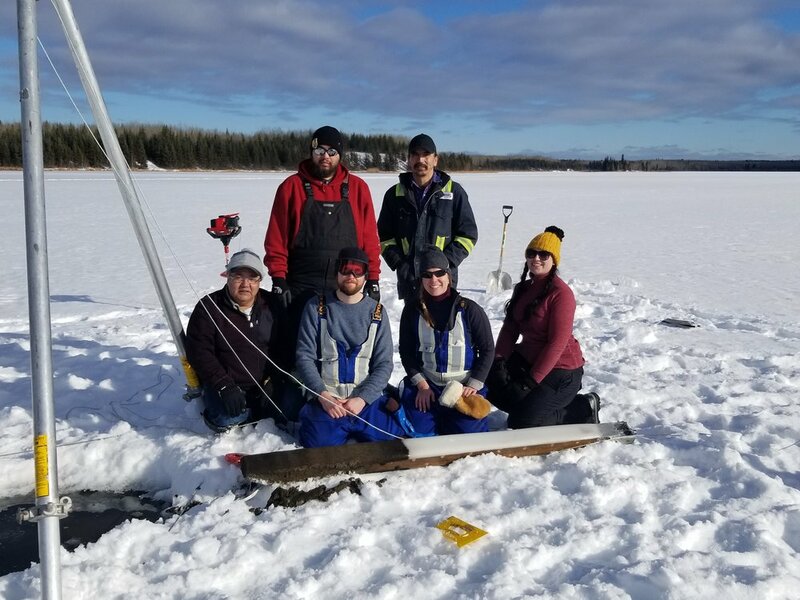 The project field team from the Lubicon Lake Band, Solstice Environmental Management, AGAT Laboratories, and Carleton University collected sediment cores through the ice from the bottom of two frozen lakes within Lubicon Lake Band ancestral lands. Yearly, layers of sediment build up on lake bottoms similar to the way annual rings are added in trees. Just like tree rings, each layer of sediment archives a record of the environmental conditions that existed when the sediment was deposited. Working backward through these sedimentary layers, it is possible to determine how climate has changed (vegetation changes, forest fires, floods, droughts, etc.) over time. The results of the study will provide a record of climatic conditions prior to European settlement of the land, and to complement records of environmental changes passed down as oral histories through generations of the Lubicon Lake Band people. Ce projet a été réalisé avec l'appui financier du gouvernement du Canada agissant par l’entremise due ministére fédéral de l”Environnement et du Changement climatique. Thank you as well to AGAT Laboratories for their in-kind field support!